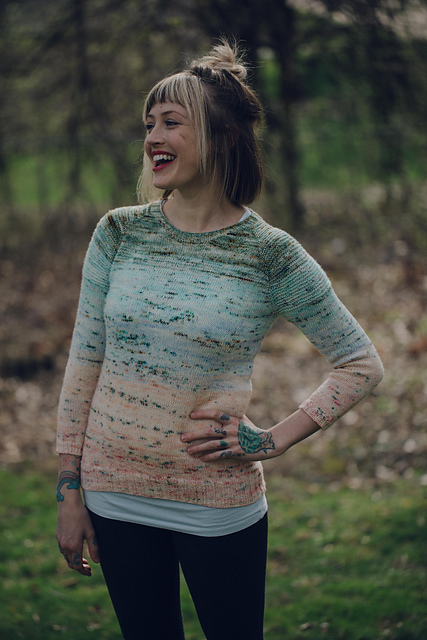 Jo shared her work in progress So Faded sweater, made with Richard Devrieze yarn. Liz shared her Om Shawl, which has some interesting options for wearing the finished piece. Liz chose to sew on only some of the many buttons called for in the pattern, and she modeled it for us in a cardigan style. 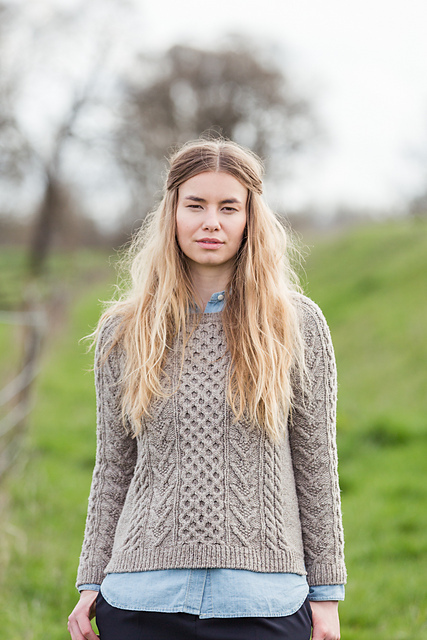 I shared my recently completed Bronwyn pullover by Melissa Wehrle. I’d love to show you a picture of how nice it looks on me, but it’s simply been too hot to think about pulling on a woolly outer layer. For a few precious weeks when I first finished it, I was wearing it every morning for my daily dog walks. Beautiful work all around, and a few projects even included short rows, which was a great tie-in to the September discussion topic. This entry was posted in yarn club. Bookmark the permalink. Follow any comments here with the RSS feed for this post. Post a comment or leave a trackback: Trackback URL.